The Riviera 500 is a fantastic road class scooter exclusive to Cavendish Health Care in the UK. We've done the hard work for you and sourced a top of the range mobility scooter at an affordable price. The Riviera 500 is a fantastic road class scooter exclusive to Cavendish Health Care in the UK. We’ve done the hard work for you and sourced a top of the range mobility scooter at an affordable price. To give you a comfortable ride quality, a fully adjustable captain’s seat comes as standard on this model. The swivel action and lift-up armrests will give you the opportunity to side transfer with ease. 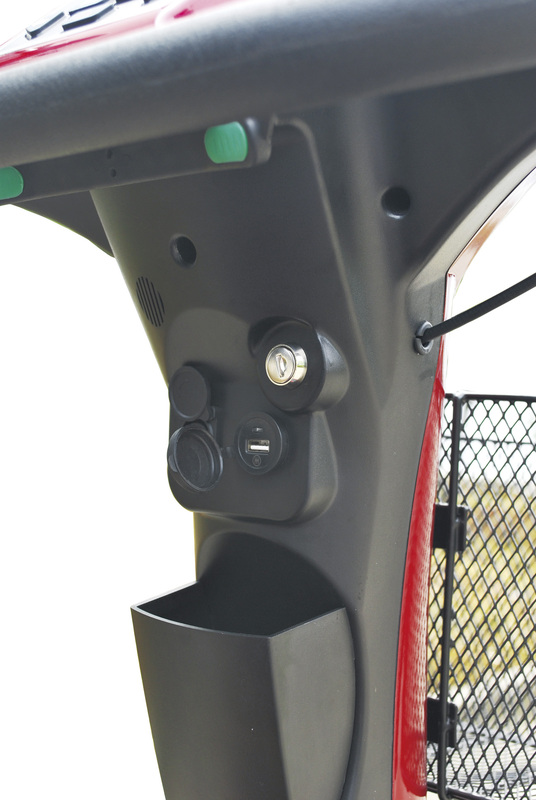 The tiller position can be adjusted to help you maintain the most comfortable driving position for you; simply release the locking handle, and move the tiller to your required position, and then fasten the locking handle. A high-quality suspension system on the front and rear will improve your ride experience further. The simple control panel allows you to control the lights, indicators, change speed, and sound the horn. Also, for when you’re out on longer journeys the battery indicator will show you how much power is left. There are delta handlebars which provide a comfortable place to rest your wrists while the wig wag throttle allows you to move forwards and backwards using only one finger. 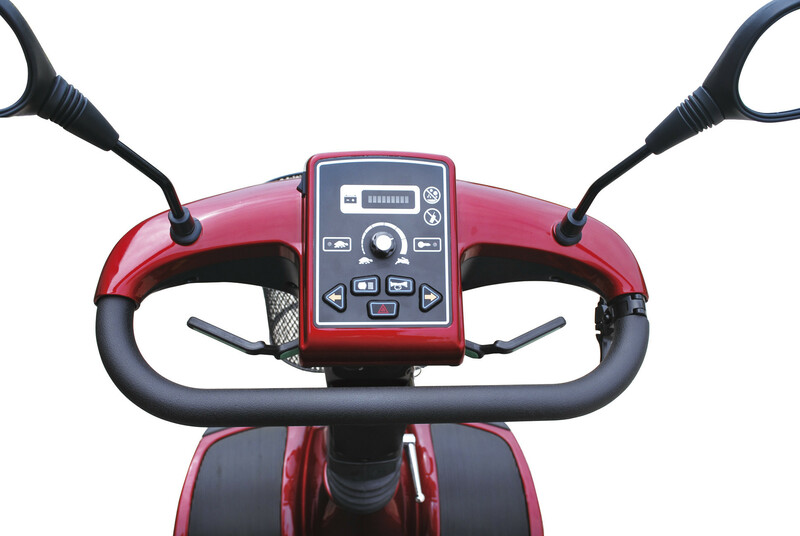 Once your hands are released from the throttle lever, the scooter will slow, and the brake will activate. A full lighting package is installed which includes a LED headlight, rear light, and indicators. Rear view mirrors on the front will enable you to observe pedestrians and other road users while making sure you remain safe. 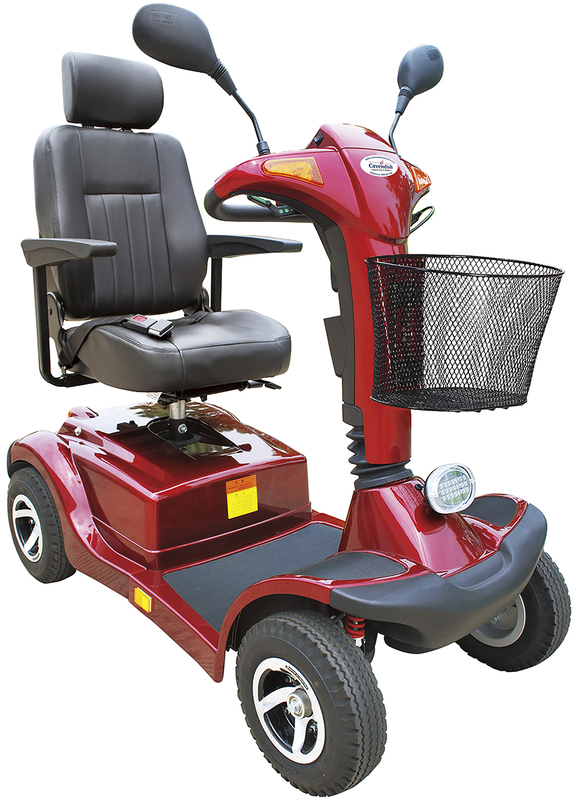 With a 600 W 4-pole motor and a battery that will provide you with a travel distance of up to 21 miles, the Riviera 500 provides maximum comfort and excellent performance.